Deep Eleven is a versatile flat subwoofer which complements the rest of the loudspeakers with a powerful and deep bass. 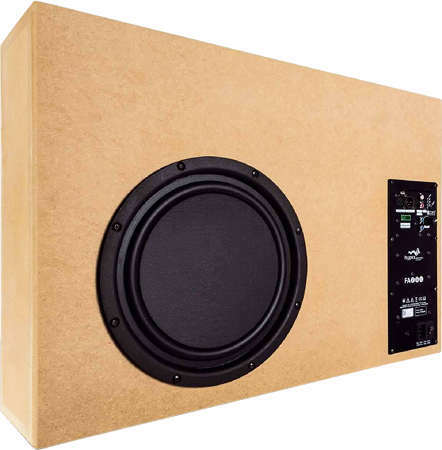 Deep Eleven is a closed-cabinet loudspeaker with drivers of Wavecor . At low volume, i.e. 85 dB at 1 m, the nonlinear distortions are below 2,4% above 40 Hz and doesn't exceed 2% at 95 dB at 1 m between 300 and 15000 Hz.